You want to work out to keep your body fit, but the gym is closed. When this happens, having a home gym machine can be a convenient solution. Bowflex’s home gym machines are designed to allow you to exercise effectively at home. 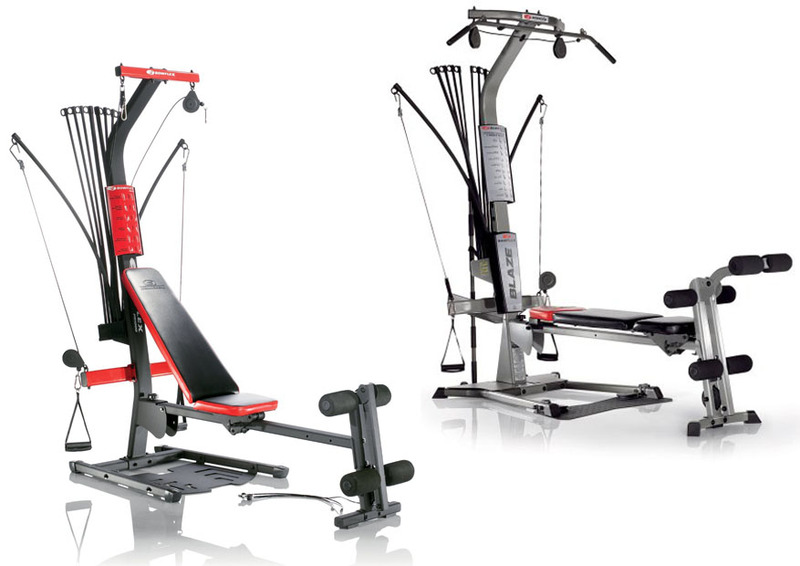 Take a look at the comparisons between two popular Bowflex models below, Bowflex Blaze vs PR1000. – Which one that has the better value for the money. When choosing a home gym machine, the width may seem to be a trivial factor that doesn’t need to be advertised – until you begin actually using the machine and find the rods scratching your walls. Hence, you should consider the space requirement of the machine, especially if your room is quite tight. Bowflex Blaze is better for people with space limitation. It has a narrower design that does not eat up too much space. It is a little taller than Bowflex PR1000, but the area requirement is smaller. Note that Bowflex Blaze is quite heavier, so it may be more difficult to move. See also: Bowflex Blaze vs Xtreme 2. Bowflex PR1000 is quite large. The rods may expand to the sides a lot, so it requires a wide free space. According to the manufacturer, this model’s space requirement is 103 inches long, 80 inches wide, and 82 inches tall. Fortunately, the foldable design makes it easier to store. According to Bowflex, the new model comes with a media rack so that you can watch training videos during your workouts. Both models use power rods to provide resistance levels. However, Bowflex PR1000 is only suitable for beginners and casual users, as the maximum resistance level is capped at 210 lbs. This model cannot be upgraded. You should choose an upgradeable model if you want to train further with heavier resistance levels. Bowflex Blaze makes a better choice for serious users and dedicated bodybuilders. The standard resistance level is 210 lbs, but it is upgradeable to 310 lbs and 410 lbs. So, with this machine, you can train harder and develop even stronger muscles. Bowflex PR1000 only comes with 30 built-in exercises. For a beginner machine, this is not bad. It has a fold-down bench for supine movements. It also has triple-function hand-grips/ankle-cuffs and a sliding seat rail for rowing. There are exercises for the legs, arms, shoulders, chest, back, and core. On the other hand, Bowflex Blaze comes with 60 built-in exercises. This is a big step-up in terms of versatility, as you get more training options with it. Bowflex Blaze comes with the same features as Bowflex PR1000. In addition, it also has a lower pulley/squat station and lat tower. You can even make custom workouts with the multiple cable/pulley positions. There are many more exercises for the legs, arms, shoulders, chest, back, and core. Between the two, Bowflex Blaze is more recommended. It has a more compact design, yet it comes with more features such as the lower pulley and lat tower. The resistance is upgradeable, so it can be used for a longer time as your muscles become stronger. It is more versatile with more exercises to train your whole body.